To clarify: These files have already proved to be working with grunt. 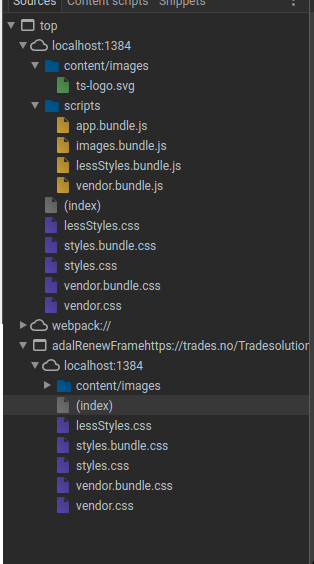 The webpack migration triggered these errors. 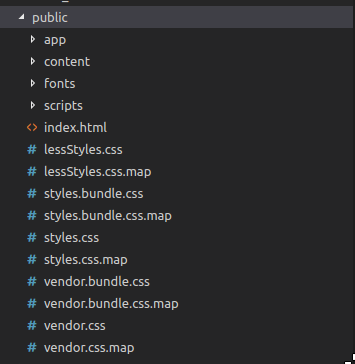 Here you can see that the less files have been compiled to css and included in the public(build) folder. Why do i get errors, if the config file executes as intended? Here it also shows that all the files are included in the application in the browser as well. I have checked all my dependencies and they are all running latest versions.